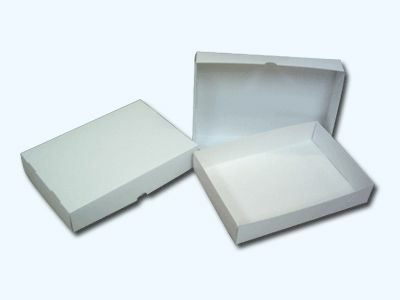 A white cardboard box which comes as a sepreate base and lid. Dimensions 305x216x57 are perfect for storing A4 card and papers. Outer finish is white gloss.